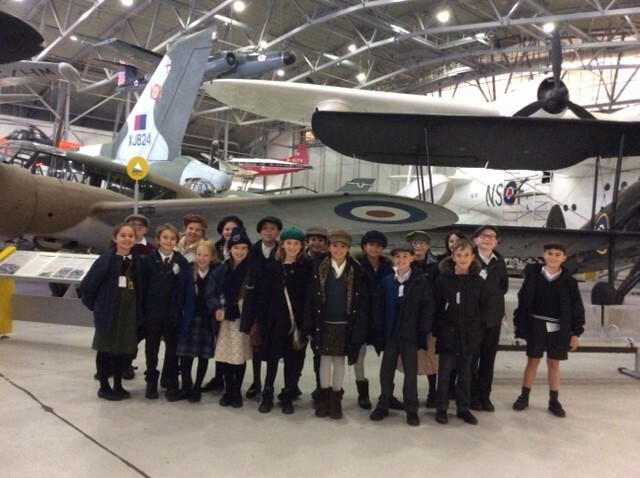 Year 5 pupils had a fantastic day at The Imperial War Museum in Duxford this week. 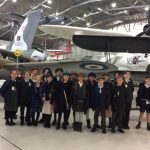 The children had a unique experience and were able to hear about history first-hand as they were able to meet and interview eyewitnesses who had been alive during World War 2. They were able to ask these survivors questions such as what it was like in the Anderson shelters, what it was like in London during the Blitz and how it felt to be a child who was evacuated. These brave men were also War Veterans who had fought in other wars so pupils also had the opportunity to ask them questions about being in the armed forces. They also visited some of the hangars to see various World War 2 artefacts, military tanks and planes, the most popular being the Spitfires and Concorde! Several members of staff and members of the public commented not only on how wonderful the children looked in their evacuee costumes, but also about how well behaved and polite they were – very well done Year 5!